The Lyric Theatre is excited to embark on our Black Lens Film Series. Join us as we explore the excellence of African American cultural heritage through film. 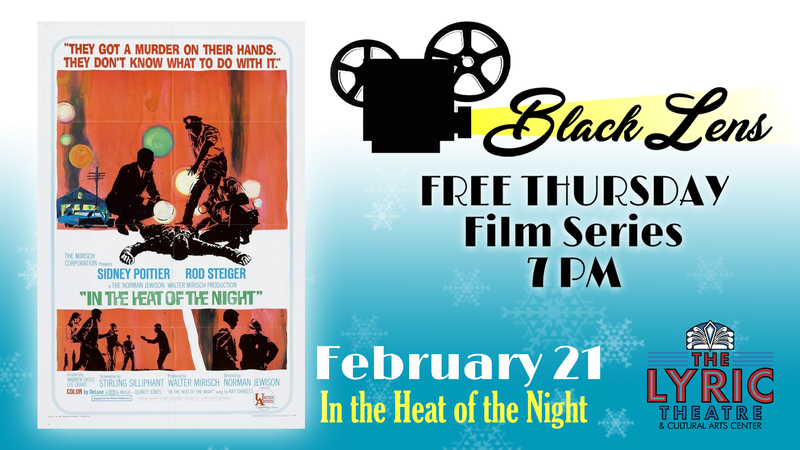 Join us for a showing of In the Heat of the Night on February 21. All films will begin at 7pm, and are free! Concessions will be available for purchase.